Either you have a made-to-measure pattern or a purchased one, you might need to apply the shawl collar on your coat or jacket. 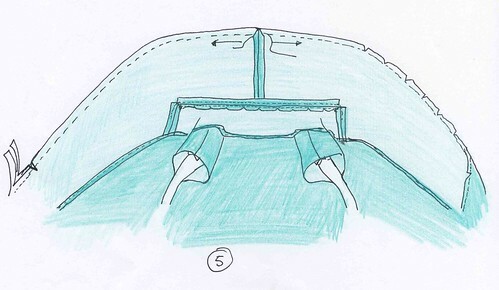 I will explain here the constructing of the shawl collar when you have a back neck facing. 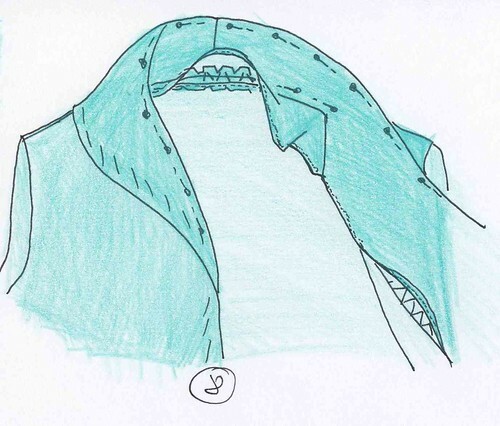 You should know that the shawl collar is formed of two parts: the undercollar, which is an extension of the front bust pattern, and the upper collar (the visible part), which is actually the front facing. 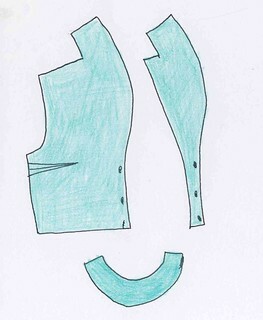 So if you have followed the pattern instructions, you will have the following pieces: the bust with the undercollar and lapels, the front facing with the upper collar, and the back neck facing. 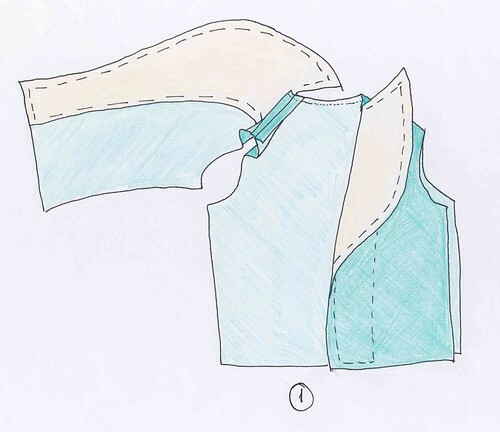 Here are the steps to apply a shawl collar without tears. Arm yourself with patience and follow the instructions carefully. Here is your pretty collar on your even prettier coat. Did you manage to survive? I think you did of course. This entry was posted in Tutorials and tagged shawl collar. Thank you for your tutorials! It’s very useful!!! Do you have a pattern for the shawl collar coat? I am very interested in making a coat with that particular collar. Followed your instructions for lining and found very interesting. 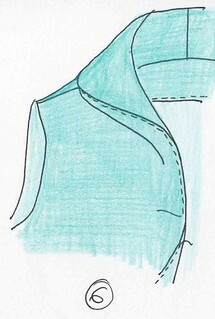 I have been using your instructions for adapting the neckline of a blouse pattern to an “indoor coat” pieced together from silk scraps and interlined with an old wool blanket. 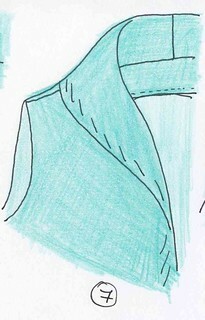 Because it is interlined, I have an upper collar (thank you for the tutorial) and 2 bodices with the under collar alteration (the silk lining and the wool interlining). 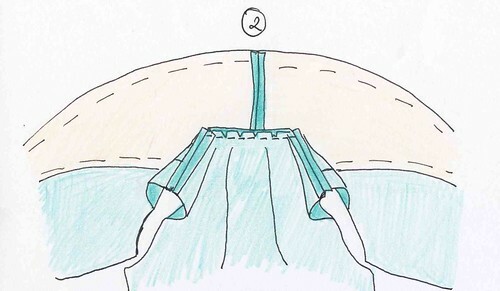 My problem is that I need to cut off the silk (lining) under collar and attach it to the outside of the wool interlining under collar, Confused yet? Imagine how I feel, lol. After one experiment with basting them together to see how it works, I realized that I would have to bag line it in order to get the back and the neck sewed together. Then I realized that since I haven’t cut off the extra collar on the lining, my seams would not line up. I am now in the position of determining the line to cut. Is it VA on your tutorial page? Sorry if this is not very clear.